The crash of Theranos is possibly the biggest corporate scandal to rock the U.S. since Enron. The saga – which is still very much ongoing – has inspired books, podcasts, an HBO-produced documentary, and an upcoming feature film that is set to star Jennifer Lawrence as founder Elizabeth Holmes. Holmes and her COO, Sunny Balwani, have been charged with fraud for lying about the effectiveness of their patented blood test machines. They purported to be able to run many medical tests on just a drop or two of blood, an accomplishment that would have revolutionized blood testing and given patients much greater accessibility to their personal biological information. This promise caught the attention of many premium investors and corporate partners, most notably Walgreens. Elizabeth Holmes was famously obsessed with Apple founder Steve Jobs, and incorporated his design-forward philosophy into her own company. 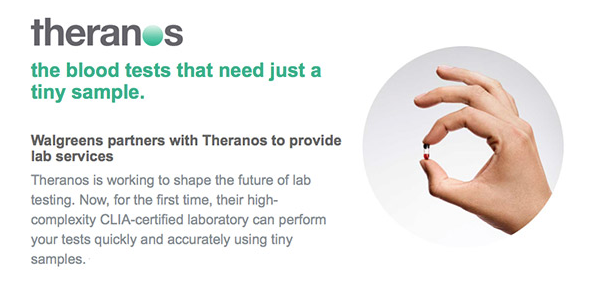 In fact, Theranos’ branding and design is thought to have played a large part in their perceived credibility. So what can brand leaders learn from what happened in this Silicon Valley nightmare? One of Holmes’ biggest mistakes as a leader was constantly conflating the brand’s promise with her personal aspirations for the company. By all accounts, she sincerely intended for her inventions to someday, eventually be able to do exactly what she said they could do. Of course, this is very different from actually having a functional product before it goes to market. 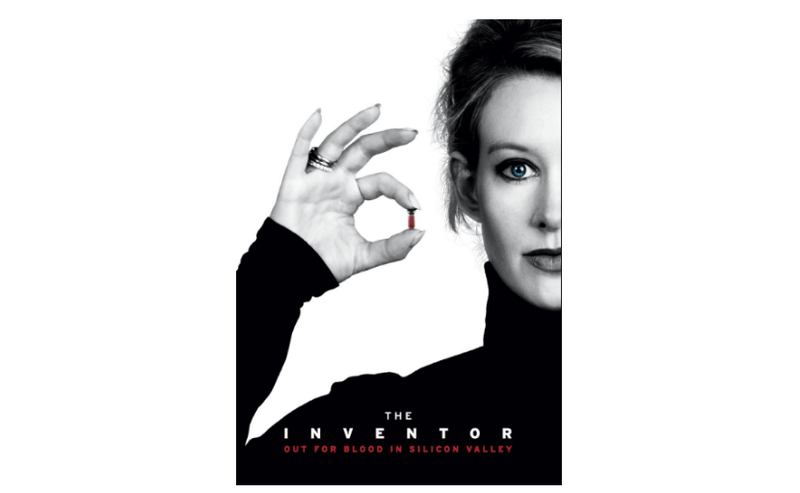 Rather than spending more time and money on R&D and listening to expert advice as scientists tried to guide her, Holmes manipulated data to force Theranos’ machines to appear that they lived up to the brand’s promise. This lack of transparency and outright deception effectively killed any hope Theranos and its employees may have had to develop a true working model. While it may seem obvious to many executives that being honest with consumers and delivering functional goods is an extremely important practice for long-term sustainability, Theranos is not the first company to reject this idea and subsequently have it blow up in their faces. 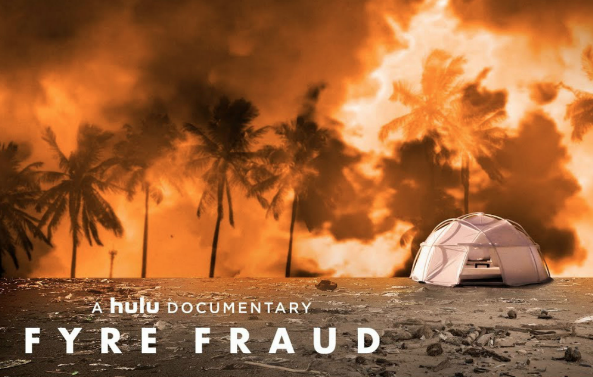 Theranos’ defrauding of investors and consumers has been compared to another relatively recent scandal, the disastrous Fyre Festival, which spawned its own documentaries and aimed a spotlight at the phenomenon of reckless startup investing. The festival, which was billed as an ultra-luxurious multiday music event, failed to deliver on nearly all of the expensive amenities that were promised. 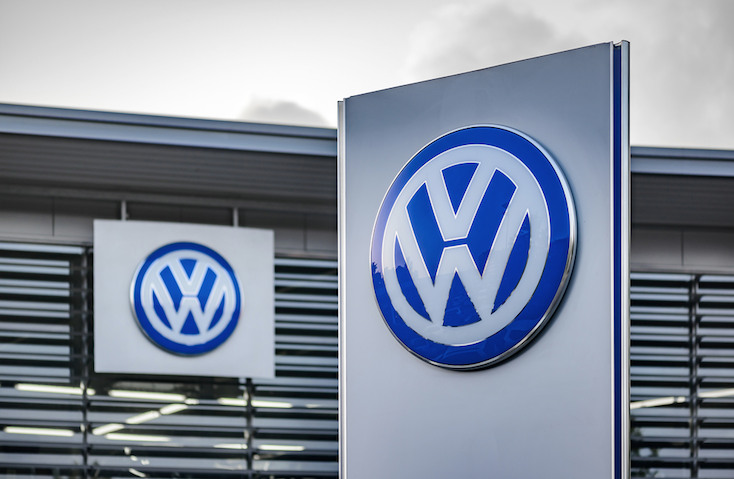 Just a few years ago, Volkswagen had their own major scandal when they were found to be actively cheating on emissions tests. They were falsely marketing cars as being low-emission, while secretly implanting software in the car that could detect when it was being tested and change its performance accordingly to meet standards. This delivered a huge blow to the car manufacturer’s reputation, and – for a while at least – their brand equity took a considerable tumble. Brand leaders must understand that it is not worth trying to cheat consumers or regulatory bodies, and that brands should be product/service-first – not profits-first. A big reason why Theranos was able to continue defrauding investors for so long was because the company was excellent at looking the part – sort of a “dress for the job you want” mentality. Holmes and her creative team did a very, very good job at making the company look innovative – and so investors were none the wiser, taking it at face value. Holmes made terrible mistakes in her time as CEO, but you can’t fault her on the impressive lineup of creative talent that she managed to bring on board. Her Chief Design Architect, Ana Arriola, hailed from Apple and has since gone on to become a partner at Microsoft. Beloved documentarian Errol Morris shot her television ads. TBWA/Chiat/Day worked on Theranos’ brand positioning, and Holmes eventually hired fourteen-year veteran of the agency Patrick O’Neill to be her Chief Creative Officer. Despite having no background in design or creative departments, she seemed to have a clear vision for the kind of clean, futuristic aesthetic that she wanted for the brand, as well as an immediate recognition of the people necessary to bring that vision to life. Unfortunately, this was all for naught. Theranos really did have very attractive branding, which did much to mask the chaos that was really going on within the company. The company didn’t live up to the innovative image crafted by Holmes’ team, who were picked off and fired one by one throughout Theranos’ slow crumble and sudden collapse. There are two key points that brand leaders can take away from this. One, Theranos’ sleek branding and design were strong enough to support the lies that its founder was spinning, a fact that reminds us all of the power that design can wield. Two, the strength of that image wasn’t enough to save a sinking ship. You can have beautiful products and a beautiful company, but ultimately, you must also have safe, functional products and legitimate operations. Great design took Theranos far – and helped them get more than $700 million in investments – but false promises and dangerous products were always going to take it all down. Had Theranos delivered on their promises and lived up to the image of innovation that the company’s creative team crafted, the world would have seen huge advancements in blood testing and patient care. Instead, we have found that behind the brand’s clean façade was a web of corruption and deceits, a harsh reality that can teach all brand leaders lessons about ethics and the power of design.